UPPER WEST SIDE, Manhattan (WABC) -- Police are looking for two men they say attacked a man and a woman on the Upper West Side. Police say the attackers yelled anti-white statements, shoved the woman to the ground, hit the man in the face with a skateboard, stole his jacket and then ran off. The attack happened shortly before 7 p.m. Saturday on West End Avenue between 76th and 77th Street. One of the suspects is described as a man with a dark complexion, approximately 5'10, and was last seen holding a skateboard and wearing dark clothing and a black helmet. 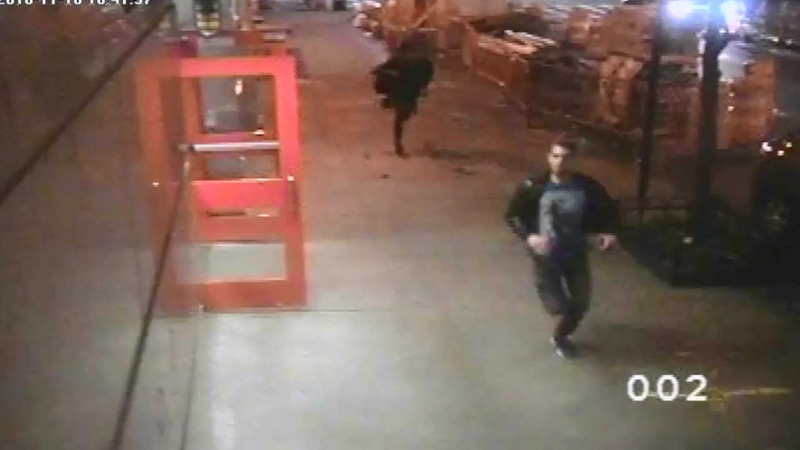 The second suspect is described as a man with a light complexion, approximately 6'4", was last seen wearing dark-colored clothing, and possibly has a pink Mohawk. Both victims were taken to the hospital, and are expected to be okay.